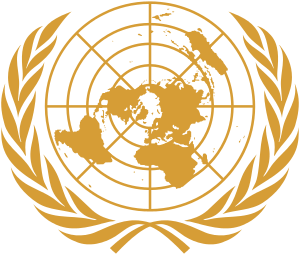 As of February 2016, 171 States are Members of UNIDO, all of them being UN members. UNIDO Members are divided into four lists. List A consists of all UNIDO countries in the African + Asian Groups of UN (along with Israel, while excluding Cyprus and Japan). List B consists of all UNIDO countries in WEOG group of UN (along with Cyprus and Japan, and excluding Israel). List C consists of all UNIDO countries in GRULAC group of UN. List D consists of all UNIDO countries in the Eastern European group of UN. List A (99 members): Afghanistan, Algeria, Angola, Bahrain, Bangladesh, Benin, Bhutan, Botswana, Burkina Faso, Burundi, Cambodia, Cameroon, Cape Verde, Central African Republic, Chad, China, Comoros, Congo, Ivory Coast, DR Congo, Djibouti, Egypt, Equatorial Guinea, Eritrea, Ethiopia, Fiji, Gabon, Gambia, Ghana, Guinea, Guinea-Bissau, India, Indonesia, Iran, Iraq, Israel, Jordan, Kazakhstan, Kenya, Kiribati, North Korea, South Korea, Kuwait, Kyrgyzstan, Laos, Lebanon, Lesotho, Liberia, Libya, Madagascar, Malawi, Malaysia, Maldives, Mali, Marshall Islands, Mauritania, Mauritius, Mongolia, Morocco, Mozambique, Myanmar, Namibia, Nepal, Niger, Nigeria, Oman, Pakistan, Papua New Guinea, Philippines, Qatar, Rwanda, Samoa, Sao Tome and Principe, Saudi Arabia, Senegal, Seychelles, Sierra Leone, Somalia, South Africa, Sri Lanka, Sudan, Swaziland, Syria, Tajikistan, Thailand, Timor-Leste, Togo, Tonga, Tunisia, Tuvalu, Uganda, United Arab Emirates, Tanzania, Turkmenistan, Uzbekistan, Vanuatu, Vietnam, Yemen, Zambia, Zimbabwe. List B (21 members): Austria, Cyprus, Denmark (denounced, effective 31 December 2016), Finland, Germany, Greece (denounced, effective 31 December 2016), Ireland, Italy, Japan, Luxembourg, Malta, Monaco, Netherlands, Norway, Spain, Sweden, Switzerland, Turkey. 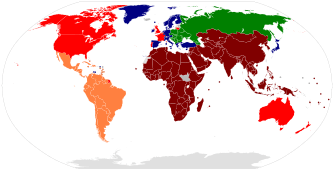 Former UNIDO members are Australia (1985–97, List B), Belgium, (1985-2015, List B), Canada (1985–93, List B), France (1982–2014, List B), Lithuania (1991–2012, List D), New Zealand (1984–2013, List B), Portugal (1984–2014, List B), United Kingdom (1985–2012, List B), the United States (1985–96, List B), and Belgium (1981–2015). Denmark and Greece denounced the convention in December 2015 and both will case to be UNIDO members of 31 December 2016. 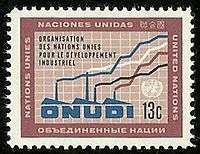 1 2 "History of UNIDO". 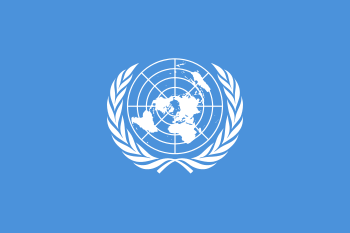 United Nations Industrial Development Organization. Retrieved 6 February 2016. 1 2 "Member States". UNIDO. Retrieved 5 July 2013. 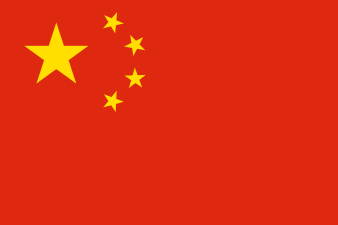 1 2 "UNIDO Constitution status". United Nations. 1 2 3 "Member States according to lists". UNIDO. Retrieved 27 November 2012. 1 2 3 "General Assembly resolution 2152" (PDF). United Nations. Retrieved 25 September 2010.